Last week I bought a copy of The Big Leap on my Kindle, by Gay Hendricks. The book set off a stream of ‘aha’ moments and huge realisations, most of which I still haven’t quite figured out what to do with yet! There are so many amazing parts to the book, to try to describe them here wouldn’t work, I recommend grabbing yourself a copy and seeing for yourself. But there is one thing that I wanted to share, that I realised from reading the book, because it may well help other writers out there. Hendricks talks about the four zones that exist, which are the Zone of Incompetence, the Zone of Competence, the Zone of Excellence and the Zone of Genius. He said that a lot of us spend most of our lives in the first three zones, and that it takes a big leap to get into the Zone of Genius. I realised that I have spent most of my life in the Zone of Competence, doing work that anyone could do, but that I was okay at too. I think my Zone of Excellence is when I am helping others with their publishing and social media, or indeed when I am publishing my own work, but it occurred to me that my Zone of Genius is when I write. And not just write anything, when I am writing my novels. I’m at my best when… I’m writing. When I’m at my best, the exact thing I’m doing is… going with the flow and creating. 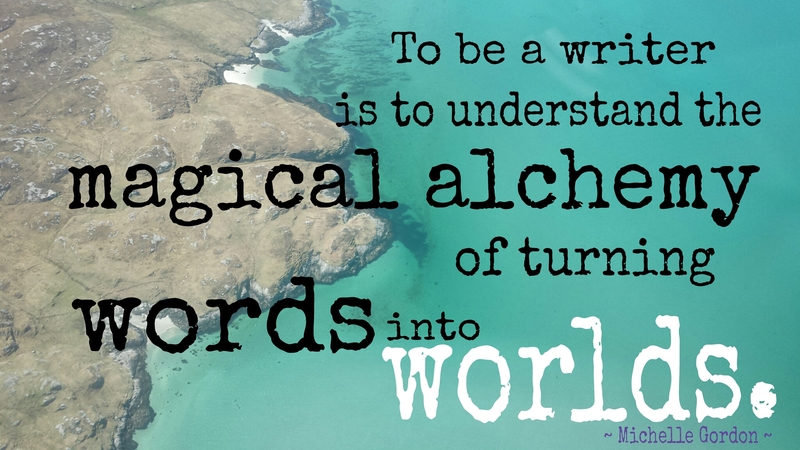 When I’m doing that, the thing I love most about it is … the magical alchemy of turning words into worlds. Yes. When those words flowed out of my pen onto the page, a massive grin spread across my face and it hit me squarely in the chest. That was it. My Zone of Genius. I am not a writer, not an author – I am an Alchemist. I take simple, ordinary words, and create entire worlds, people, events and objects. All of which live inside the mind of the reader when they read the books. And one day, will hopefully be portrayed on a big screen. It was a revelation to me, that what I really loved about writing was not the actual act of it, but the deliciousness of the creation. With just a few taps of the keyboard, I can create life, and I can take it away. I can make someone happy, or make them cry. I also realised that I had been spending much more time in my Zones of Competence and Incompetence (still terrible at marketing!) than I had in my Zone of Genius. I have so many stories flying around in my mind all shouting to be told, that it seems crazy not to be spending more time in that Zone, doing what I know I do best. On that note, I am off to write some more of my new book. The Twin Flame Resurrection is in beta reading mode and the cover is being created too, which I am very excited about! Will post the cover reveal very soon. Let me know if you read the big leap, and if you discover your Zone of Genius!